I think we all know what I mean when I talk about those iconic white gloves...well, maybe you don't. I don't mean that one that Michael Jackson wore (may the Gods of Pop rest his soul) or those gloves the doctor wears that are the first thing you see in this cold, cold world. I mean that funny little house rodent that can somehow talk and eat and dress like a human, Mickey Mouse! For some reason, of all of the wardrobe choices his creator gave him, he is never seen on screen without a pair of gloves covering his mousey hands. Could he be hiding something under there? What's the deal with those! I hate wearing gloves. My hands get all sweaty, I can't turn doorknobs, and even worse, I can't text on my iPhone! Oh, the humanity! But for some unknown reason, the most famous mouse in the world (save for Speedy Gonzales, but I think he's a rat) is hiding something under those weird puffy pieces of cloth. What's he hiding under that sheepish grin? Now I know what you're going to say, and I'm one step ahead of you. 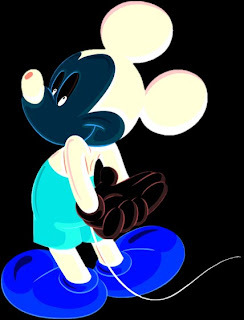 You're going to ask me, "if it's so suspicious that Mickey wears gloves, how do you explain any of the other characters who wear gloves in the Disney clan?" Well, I'll tell you. It's simple, really. Mickey is undoubtedly the most popular character of the group, and don't try to tell me otherwise. It's indisputable. I have charts. So it would only follow that whatever he does, the other characters will copy in hopes of becoming as popular as he is. Hey, I would do it too. It must be hard to live in his shadow. The only ones not in on the whole thing are Donald and Daisy, who have opted instead to reject any pants in their daily wardrobe. We can only pity them. Whatever this penchant for puffy white gloves is, it's sure caught on. Even Takashi Murakami, the artist behind the cover for Kanye West's Graduation album, is in on the conspiracy. What do the gloves mean? Why are they gesturing like that? And why in all hell were the bags selling like hotcakes at his exhibit at MoMA? They are so expensive and so horribly ugly! The conspiracy goes further. Ever heard of Crooks and Castles? 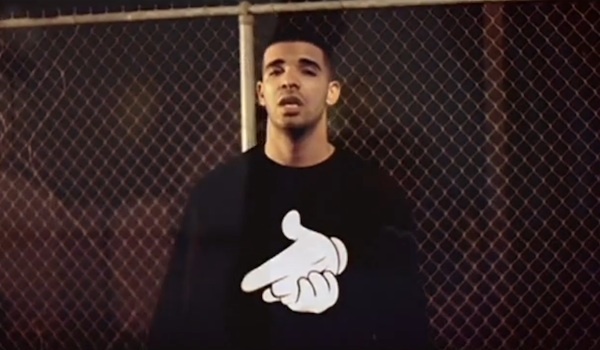 Canadian teen television star turned rapper, Drake, sporting a Crooks and Castles sweater. Notice anything familliar? Seems like Mickey has his hands in the hip hip music industry, too. This is getting weird. And while Disney strives to represent a wholesome family image, many of these C&C designs are quite inappropriate for children (or anyone, really). The image on the above shirt is obviously hands forming the shape of a gun, and there are other designs of the hands rolling a joint, flipping the middle finger, the list goes on. A coupon for an online clothing store, featuring Kanye West. Wait...what's that logo closest to his face? Karmaloop, an authorized online seller of Crooks and Castles merch, promoted their products with this festive holiday coupon. With WHOM as the mascot? None other than Kanye West. And who did the album art for his Graduation album? 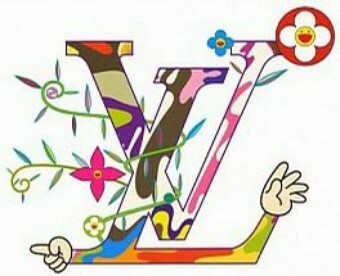 Takashi Murakami, none other than Mr. Louis Vuitton Mickey gloves himself. Just what exactly is happening here? Now, I have way too much homework to follow up on this thing in a true Tom Hanks in the Da Vinci Code style. It is Murderous March in my university program, after all. But I urge you, readers, to help me uncover the truth! Tell me what you find and maybe we can sort this out once and for all.